I am saddened to learn that Tampon was force out, she was so beautiful and perfectly blended in with the team.I will limit my support due to her departure, you let a good person get away NBC shame on you. I apologize for incorrect spelling of Tamron”s name it was a typo error.Tamron not Tampon. There went my tea. I’m done. ROTF, LMBAO! So sad Tamron’s gone! Kelly as a replacement? Is ludicrous! Everyone loves Tamron and Kelly has the appeal of a bland mushroom! Big mistake! Tamron is a jewel!! Smart intelligent and lovely! Even though I stopped watching The Today Show years ago when they put Sara Palin the clown on I still knew about Ms Hall. NBC messed up! I watch MSNBC everyday though- better leave my Joy, Rachel, and Rev Al alone!! Tamron was everything that anyone could ask for in news, dignified and informative….sorry that she is gone. NBC deserves to lose watchers!!! Tamron Hall was the best thing to happen to the today show. When I discovered how they treated her replacing the 9 am hour with Megan Kelly I was completely finished with the today show. How stupid could they be Tamron was funny, energetic, beautiful and completely down to earth. Same here. I immediately stopped watching. 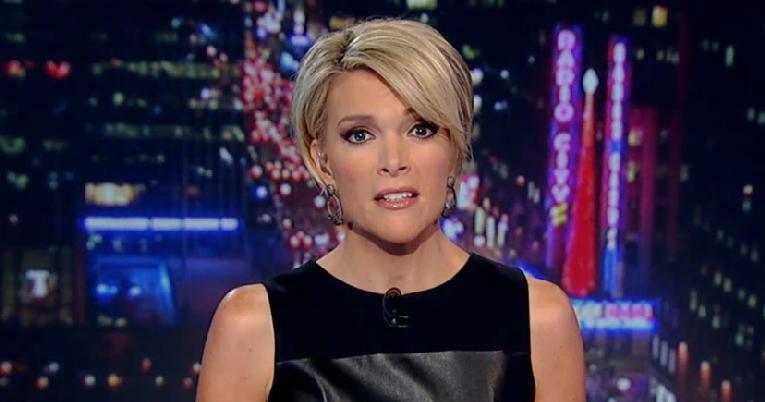 Will never watch Megyn Kelly. Send her back to Fox fake news. Tamron is a legitimate journalist as well as sincere and personable. I will watch her wherever she lands. She has integrity. Big mistake firing Tamron Hall.I Wil not watch the today show unless you put her back on!!!!!!!!!!!!!!!! This was a dumb move on your part to put Megyn Kelly in that spot. My friends and I will not watch her and I hope your ratings continue to go down. People of all Races and ages love Tamron Hall. Why didn’t you leave well enough alone. Watching Megyn Kelly it’s like walking on a bed of nails with no shoes on. Stop drinking the fox news kool-aid !! Dave, you ‘do’ know that along with her appearance on the NBC “Today” show Tamron also anchored hour long news programs on MSNBC, right? Tamron was a wonderful, professional news broadcaster. You could find her on MSNBC reporting news during the day and sometimes on Saturdays. I actually think she was a better news reporter than celebrity host, but I could tell she liked her job on the “Today” show best. MSNBC wanted to keep Tamron, but she left both jobs in protest. I miss seeing her deliver news on MSNBC. Of course, Tamron Hall’s credentials speak for themselves. Of course they can never leave well enough alone and then whenever there’s a bad rating they want to reach back and bring back the truth. You go for what you know Tameron and don’t look back ever!I love strong women. Co host, or even the other host on the show. Why fix something that is not broken. It’s all racism! The old whites are sratching like they did at the end of Rome. Instead of jioning with the masses and takin part; to make a stake in the future; they using fear and hate to hold on to the horse and buggy! It’s sad and tiring! They should be reachinf out to the future! EVERYTHING CHANGES!!! I loved watching her on The Today show. I have no idea why NBC messed with it. No one asked me for my opinion. I think Tamron is an exceptional talent. Was a fan from I.D. NBC has turned into a mini faux news. Tamron Hall is beloved by many of all ages and races. Megan Kelly reminds people of racism which we get enough of with this sick President. You made a BIG mistake and I’m glad she’s gone!